Kings or Better by Play’n Go is a classic video poker game and contains all of the features you can expect from this genre. The interface is simple and easily understandable. There are no fancy graphical effects but you don’t need that anyway – a good poker hand is the only thing you want. You can play the game even from your mobile device, the interface scales well to fit on smaller screens. Classic video poker games usually use the same setup in their interface; there is a paytable to the up and the cards are located at the bottom. This is also the case for Kings or Better. As the name suggests, this is a variation of Jacks or Better games, the only difference is that kings are used instead of jacks. The payouts are made according to the classic poker hand valuations, and a royal flush is the best hand you can get. But the amount of prizes depend on the bet amounts – to get bigger payouts, you must bet maximum. For example; the royal flush hand pays only 250 coins if you are playing with 0.05 coin each round, but starts to pay 4.000 coins when you raise your bet. In other words, play with the maximum bet amount (5.00 coins) to get the maximum payout. You can start the game by clicking on the “deal” button. The game will draw five cards for you and place them onto the row at the bottom. You can hold the ones you like by clicking on them – this means that cards will stay put in the second drawing. After that, press the “deal” button once more. The game will deal new cards in exchange for the ones you didn’t hold. If the final result is a winning poker hand, you will get paid according to the paytable and your bet amount. And this is all you need to know – there are no other rules or complex systems. The game has a very fast pace and manages to entertain you for hours without spending a penny. 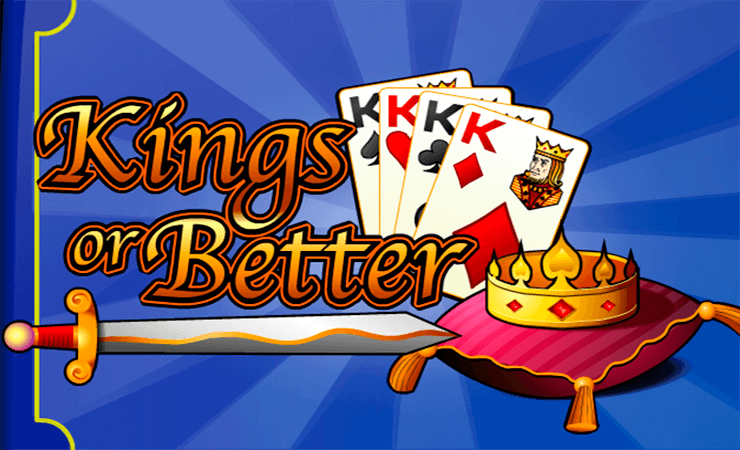 You have lots of alternatives when it comes to classic video poker games, and Kings or Better is one of the good ones. Highly recommended for all kinds of poker players out there; especially the old-school ones. Play at Casino Avenue to find hundreds of other casino games!